Writing a blog series is a great idea for businesses looking to boost their traffic and authority. These posts are in-depth, easy to share, and are great for SEO. In this article, we'll discuss the benefits of crafting a blog series, providing you with all the info you need to get the process started! Writing a series of posts might seem like a daunting task for many bloggers. It’s understandable; it often takes a lot of time and research to write about one topic for several consecutive posts. However, if you’re wondering whether or not it’s worth it to write a blog series—the advantages far outweigh the anxieties. Writing high-quality blog series can help you grow your content exponentially and gain authority within your industry, all while building a closer relationship with your audience. Let’s be honest here; it’s nearly impossible to write a well-researched, in-depth post on a certain subject if it needs to fit within a 1,000-word limit. You can pull that off with the smaller topics, but definitely not the big ones. If you’re facing this situation, you usually have two options—either make the post longer (possibly very long) or divide it into a few smaller posts, turning it into a series. 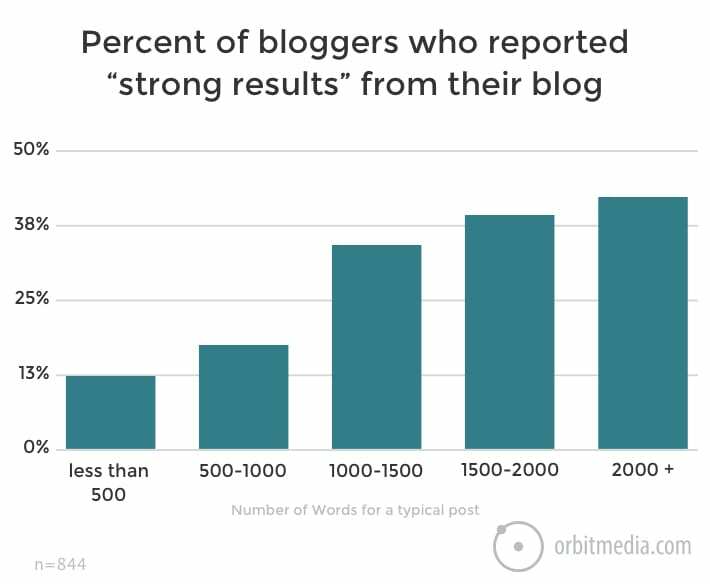 Statistics from 2016 showed that the bloggers stopped being afraid to write longer articles. That year, the length of the average post was about 1,050 words. This was up 19% from 2015. 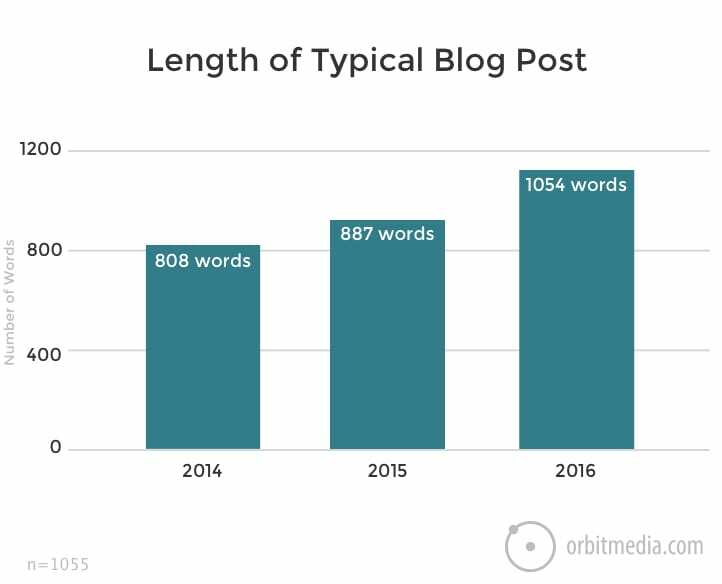 Furthermore, the number of posts longer than 2,000 words has doubled every year. Long posts showed impressive results then, and continue to do so now. Although, there is a caveat to this. Even when a post is long, this doesn’t guarantee that it covers everything on a specific topic. Sometimes, even 2,000+ words aren’t enough to achieve that, especially if your goal is to create a comprehensive piece that ties in real-life examples and statistics to support your claim. In this case, a blog series is an excellent alternative, allowing you to take your time and explore a topic thoroughly. This will show your audience that you are committed to producing in-depth, consistent content—something that will keep them coming back for more. 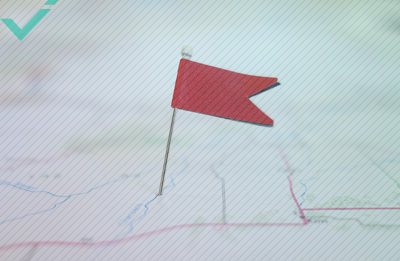 Authority is an essential trait for online businesses, extending beyond one’s services and products to the content created to represent the brand. Well-written blog series generate some of the most traffic, with people bookmarking and sharing posts often, keeping them nearby as vital sources of relevant information. Moreover, by creating a blog series, you can interlink between each individual post to ensure that all your content gets the attention it deserves. By doing so, you will experience more traffic and better SEO—crucial components to e-commerce success. One thing to keep in mind, however, is that not all ideas lend themselves to multiple posts. Let’s take a look at the basics of devising and deploying a strong blog series. First and foremost, it’s important to determine whether you’re going to create a sustained, ongoing series that continues for months, or a limited series that has a definite end date. Although an ongoing series may sound appealing, understand that this requires a significant amount of planning and upkeep. A limited series can be beneficial as it ensures adequate coverage of one or more topics, but is contained within a certain time frame and number of posts. This type of series requires preparation as well; since there will only be a predetermined number of posts, each must cover its respective topic in full. This consideration will also help shape the type of content you’ll be creating, as some ideas lend themselves more to one method than the other. Opting for a limited blog series can be a great complement to certain types of posts. 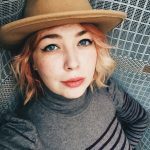 If it’s your first foray into crafting a blog series, perhaps create a number of posts that act as an introduction to your industry or niche, or a particular topic within your field. This can create a foundation on which your customers can learn more about what your business has to offer, and why it’s superior to the competition. Of course, this is easier said than done. In-depth research is an area where a lot of bloggers slip up. As such, taking the time to map out each post before actually writing it can help keep things in line. Furthermore, if you’re contributing more information on a topic that’s already well-researched, be sure to offer something novel or different to stand out from the crowd. If your goal is to come up with an idea for an ongoing series of posts, one of the easiest solutions is to write about something that’s always changing or being updated. Weekly news, monthly trends, inspirational posts, and blogs about your company’s performance could work as potential topics. A great example of an area where these types of ongoing series are flourishing is the dynamic world of cryptocurrencies. With an abundance of studies and papers revealing new innovations within the field, numerous businesses worldwide are exploiting this wealth of information with frequent posts on breaking developments. Another possible theme for an ongoing series is to do a “mistake review” or myth-busting of topics that beginner consumers or members of your industry struggle with or have difficulty understanding. Teaching your audience how to learn from these mistakes will position you as a teacher and leader in your niche. This concept also lends itself to a series of structured Q&A posts. For instance, your audience could reach out with questions over social media, which you will answer once a week/month to show that you’re keeping up with consumer concerns. Regardless of whether you choose a limited or ongoing series, there are some basic tips to remember. The first piece of advice is to introduce your upcoming series before launching it. This will help generate interest and draw in a larger starting audience. The other tip that some users forget is to integrate multimedia content within each post. Even if you write articles worthy of the world’s best publications, no one wants to scroll through thousands of words without a picture or video to break up the text. Upon experiencing the numerous benefits of creating a successful blog series, it may be tempting to come up with more and more of them. 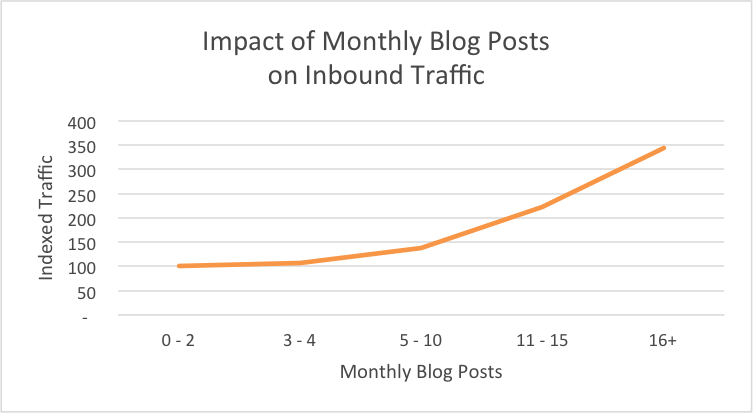 After all, the stats appear to be in your favour; companies that publish 16+ blog posts per month get almost 3.5x more traffic than those that publish between 0–4. However, these posts don’t all come from the same series. In fact, too many posts on the same subject(s) may actually have a negative impact on your blog performance and overall flow of content. Posts should always be diverse and shouldn’t overwhelm the audience. Plus, if you create dozens of articles on the same topic, it’s likely that not all of the information is necessary or engaging. Creating a blog series is all about balancing this special collection of content with your other consistent posts. As you can see, crafting a blog series can really benefit both the performance of your blog, as well as enrich the lives of your audience. As with any part of your broader content marketing strategy, blog series are to be approached with careful consideration. Too few or too many posts will fail to draw in a crowd and turn them off, respectively—so be sure to follow these tips and others to take your blog to a whole new level of influence! Is your business on Facebook? Do you want to learn some tips for better and more effective Facebook marketing? 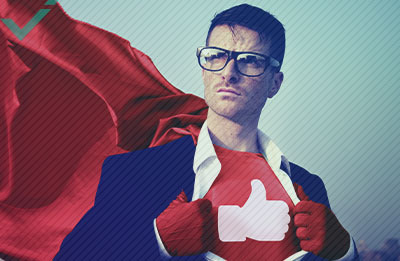 Don’t make these common Facebook marketing blunders! Learn about the 10 often made Facebook marketing mistakes you can avoid! What is transcreation and why should you care? Often, buzzwords can be used to sell a product or process that promises far more than it delivers. Transcreation breaks that mold by having the potential to be incredibly lucrative. With the right team and creative brief, your small business campaign could reach a larger audience than you ever imagined. What can we learn from Apple’s marketing strategy? Everyone knows that Apple is one of the most successful brands worldwide. 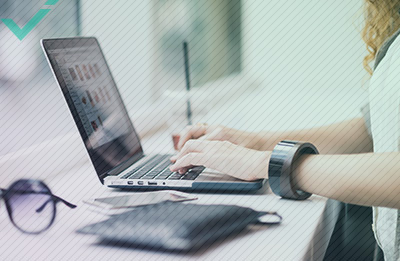 But could your business benefit from using some of its marketing strategies and techniques? Definitely. That's why today, we want to talk about 5 important elements of Apple's leading branding strategy.